Applicants must have a Bachelor’s Degree from a University recognized by Law in India or a qualification recognized as equal thereto. Applicants must have Good Knowledge of English Shorthand and typewriting with minimum speed of 100 and 40 words per minute, respectively. Information of Data Entry, word processing and Computer Operation would be vital. Applicants must have a Bachelor’s Degree of a University recognized by law in India or qualification recognized as equal thereto. Applicants must have a Diploma/Degree in Computer Science from a recognized institution / University, or ‘O’ Level Certificate awarded by NIELIT/DOEACC Society, or CCC Certificate in Computer Science from recognized institute established by law in India. Applicants must have a Computer Knowledge i.e., Data Entry, Word Processing and Computer Operation etc. 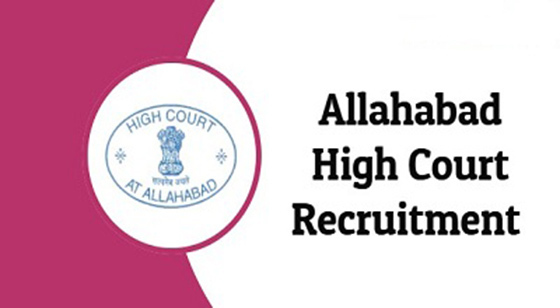 Allahabad High Court has announced recruitment notification for Graduates, Diploma and 12th class passed applicants for filling up more than 3000 vacancies in Category ‘C’ and ‘D’ cadre positions in High Court of Judicature at Allahabad. The online registration of application will be beginning on 6th December 2018. This is Indicative advertisement. Further comprehensive announcement of Allahabad High Court Recruitment 2018-19 and its online registration application process will be start from 6th December 2018.